My precious wife, Angie, and the godly mother to our four children. Paul said to Timothy, “I’m reminded of how sincere your faith is. That faith first lived in your grandmother Lois and your mother Eunice. I’m convinced that it also lives in you,” 2 Timothy 1:5. Paul was saying, “Timothy, the good that you have, I saw it in your grandmother, then I saw it in your mother, and now I see it in you.” I am convinced that godly, saintly, praying, loving mothers and grandmothers do more to determine the destiny of a child in the home than anyone else. A praying mother is to be treasured. A Christian mother’s love and prayers are a constant reminder before every lost son, every lost daughter and every lost grandchild. A godly mother is to be treasured. My mom, Barbara Joann Todd, is a godly woman. Perhaps there are many of you whom your mother has passed away. You have laid her to rest. You will meet her on the other shore if she was saved and you are saved. But our mothers’ prayers follow us. Our mothers’ prayers are our strength. Happy Mother’s Day to my beautiful mom, Barbara Todd. 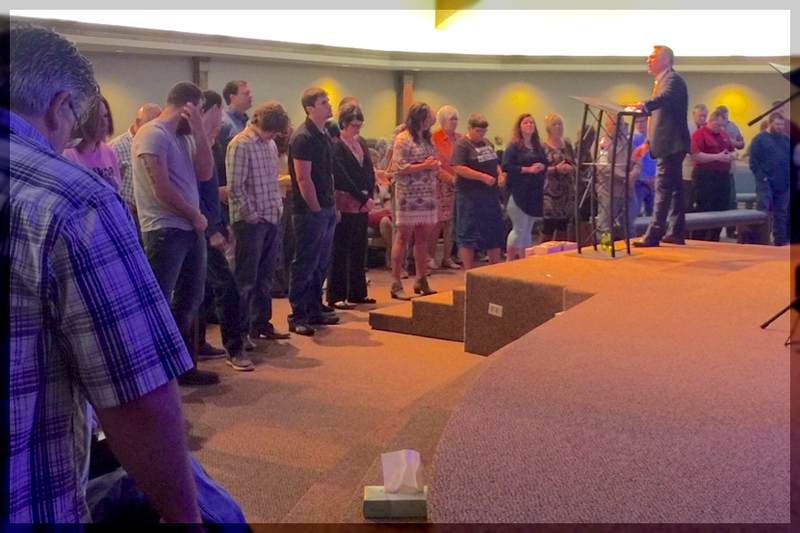 A mighty move of God is taking place in the lives of everybody attending our revival services! I thank God for my praying mom. Many of you have praying mothers; mothers who know how to get through to God. Mothers who know how to weep, to moan and to wail tears that get through to heaven. God hears a mother’s prayers; it has been a mother’s prayers that has touched God and changed the lives of so many children. I have such an appreciation for my own mom. She reminds me that while I was growing up she prayed for me more than any of us five children. Not because she favored me, she didn’t, but because I needed it the most as a result of my poor decision making as a teen. You see, some tragic things took place in our family when I was a teenager. The devil tore our family apart. As a result, I rebelled and turned my back on God. I was so deeply involved in sin that there were times I really believed that God couldn’t save me anymore. That I had gone too far and done too much. At one point, I sat in the floor of an empty house with a loaded 45 contemplating my sordid trash heap of a life. I thought, “How did it all come to this?” I had lost everything! It started with the little sins that seemed harmless and then gradually and progressively got worse: anger, bitterness, inability to forgive, sexual promiscuity, cigarettes, alcohol, marijuana, and cocaine. They all left me empty. Everything that I thought was important…was gone. 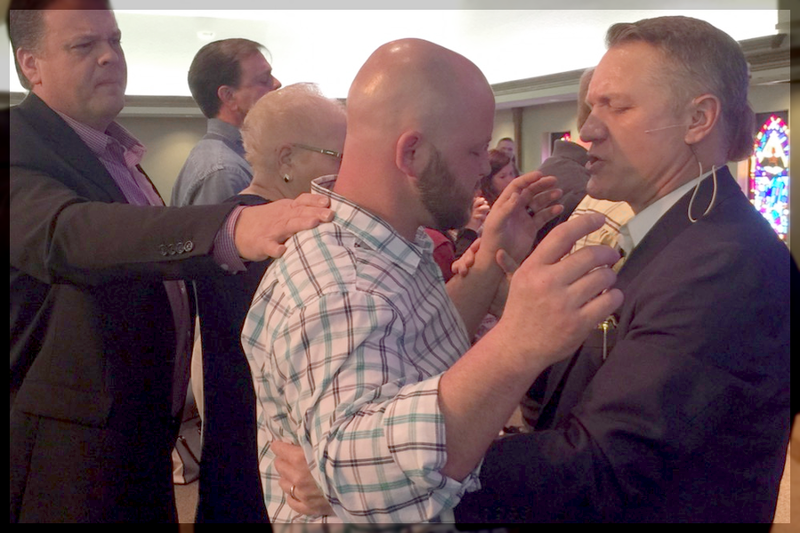 One of many receiving instantaneous healing in one of our Holy Ghost Revivals! Arkansas Senator Jason Rapert is a wonderful man of God standing up for righteousness in our nation! 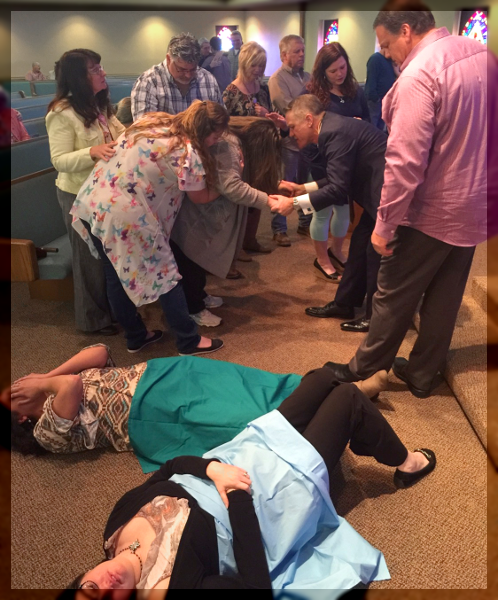 He recently attended one of our revivals in his home church in Conway AR. With the assistance of the devil I convinced myself that I needed to take my life. I put a gun to my head and cocked the hammer back; I put it under my chin. Out loud I said, “God, if you’re listening to me I need your help.” Immediately, the phone rang! It was my mom. She said, “Tim, the Lord laid you on my heart real strong today. Are you okay?” I said, “Mom, I’m not okay. I want to come home.” It was my mom’s love and prayers and her phone call on that day that saved me from an eternal hell. 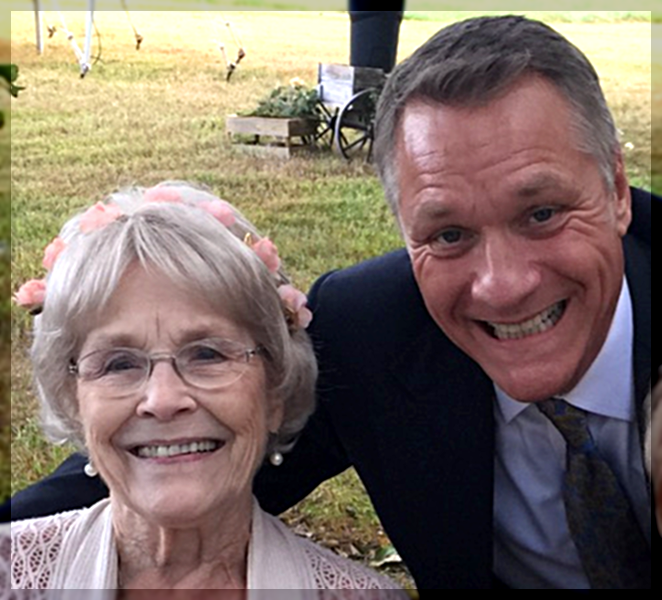 Without a doubt, I would not be here today serving God and preaching His Word if it weren’t for my godly, faithful, praying mom. One of these days I’m going to do what some of you have already done. If the Lord doesn’t return first, I’m going to lay my mom to rest and we’re going to have her funeral. I dread that day. Not because I fear where she’s going.Without question she is going to heaven. I dread that day because it will be the tremendous loss of someone who means so much to me, who has sacrificed so much, who has loved so much. She constantly reminds me that there is not a day that goes by but what she is lifting me up in her prayer time. But one of these days we’re going to have a memorial service for my mom. We’re going to walk by her shiny casket and look into the face of the one who toiled so tirelessly to raise me and my siblings. With my dad traveling extensively mom did a tremendous job tending to the needs of me, my younger brother, my older brother and two older sisters. If the Lord returns first, the day will come when the funeral train will go out to the cemetery where there will be a deep hole, a cavity in the earth. They are going to lower that shiny casket into the earth, pile the dirt on and cover it up with beautiful flowers. There will be a lot of weeping, a lot of crying when my mom goes home, when she is promoted to glory. After 25 years of wonderful marriage I love Angie more than ever before. 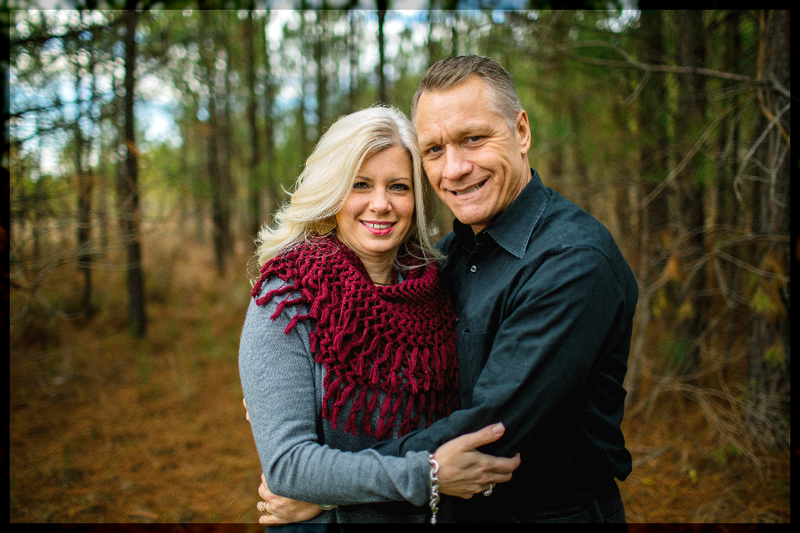 Angie is a precious woman of God and she is my very best friend! 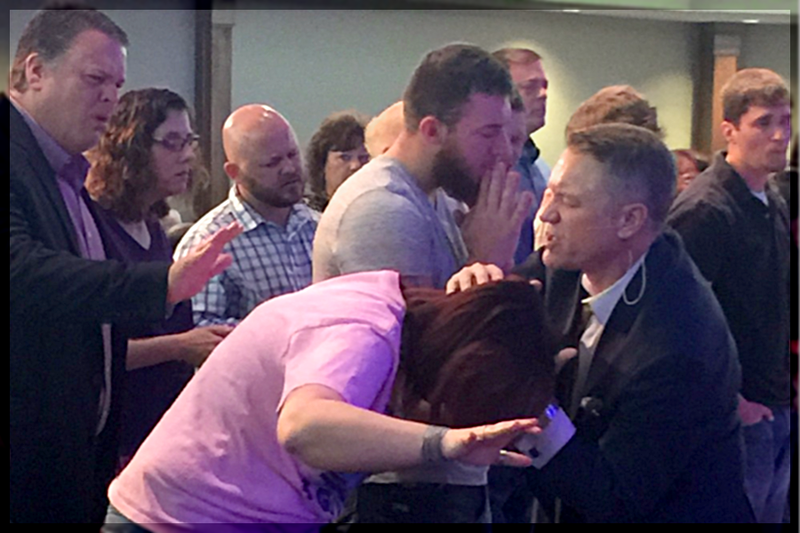 Thousands of precious people are being saved, filled with the Holy Ghost, healed, delivered and set on fire for God in our revival services and evangelistic crusades! Let me tell you something, they may bury my mother and yours. They may put them in a shiny casket and bury them in the cold ground in the cemetery where the rain, the wind and the snow will cover their earthly bodies. But one thing they are not going to do. They are not going to bury our mothers’ prayers. They are not going to bury our mothers’ love. They may bury your mother and mine but their prayers and love are going to stay alive. Their prayers are going to go on reaching out to sons and daughters and grandchildren, reaching out to you and to me. Mothers’ prayers are going to stay alive. Our mothers may go but not their love and not their prayers. They are still alive. Our mothers’ love cannot be buried in a cemetery. Her prayers cannot be locked in a casket. As a result of my mom’s dedication to pour Jesus into our family all five of us kids are now faithfully serving the Lord! I’m probably more spiritual than the rest but that is only to be expected. Just kidding. Seriously, my younger brother Cecil Wayne pastors Lakewood Church in Branson West, MO. Jon has a very successful God Centered business and is faithfully serving God. My sister Gail works full time for dad’s ministry in Branson, MO and has a beautifully anointed voice. My sister Janet and her husband pastor in Klamath Falls, OR. Five out of five of my mom’s children are serving God, I believe, as a direct result of my mom’s godly example, love and prayers. So then, when God gave us mothers’ who love Him and serve Him, He gave us one of the most precious gifts. This Mother’s Day, and every day, I am so thankful for my mom, Barbara Joann Todd, that I have the deepest appreciation for and love so much. 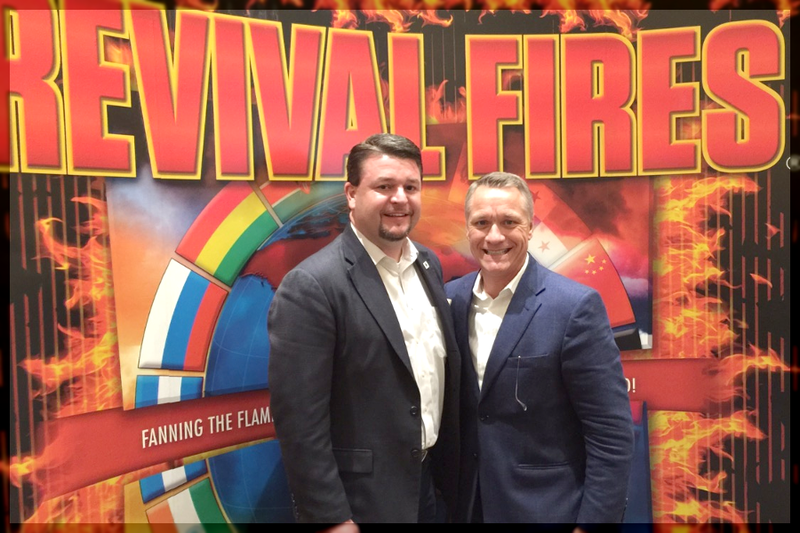 Revival Fires are burning bright across America and around the world in each of our revival services. 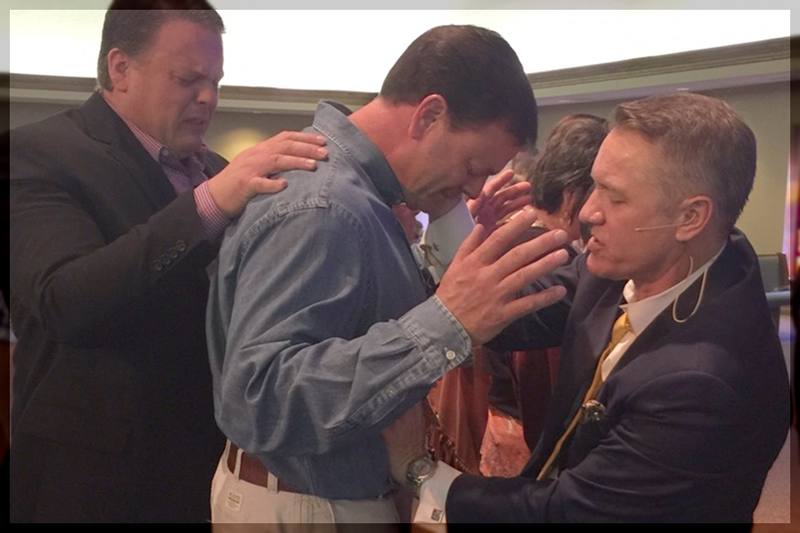 Real Revival Fire must begin with a great revival of prayer. It is in the closet, with the door shut, that the sound of abundance of rain will first be heard. An increase of secret prayer with ministers and lay people will be the sure harbinger of a mighty outpouring of the Holy Ghost. 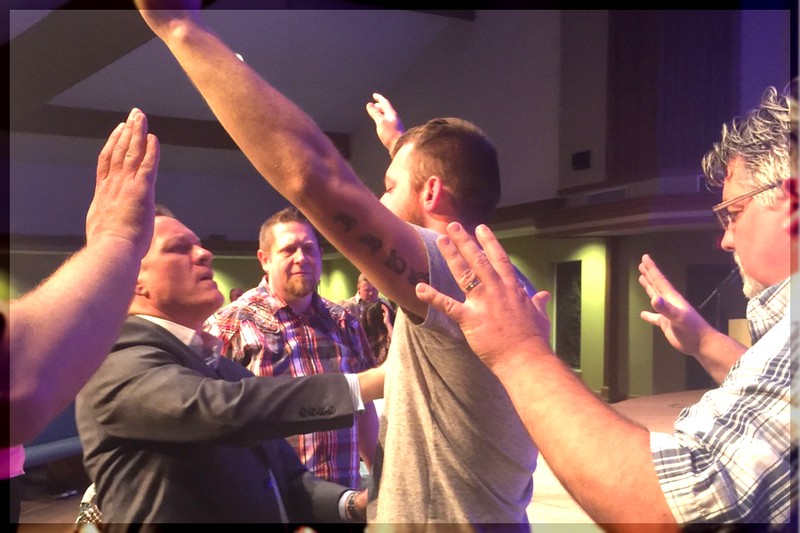 During true revival, lost people are suddenly swept into the Kingdom of God. Scenes of the lost coming to the Savior in great, and unprecedented numbers, are common. 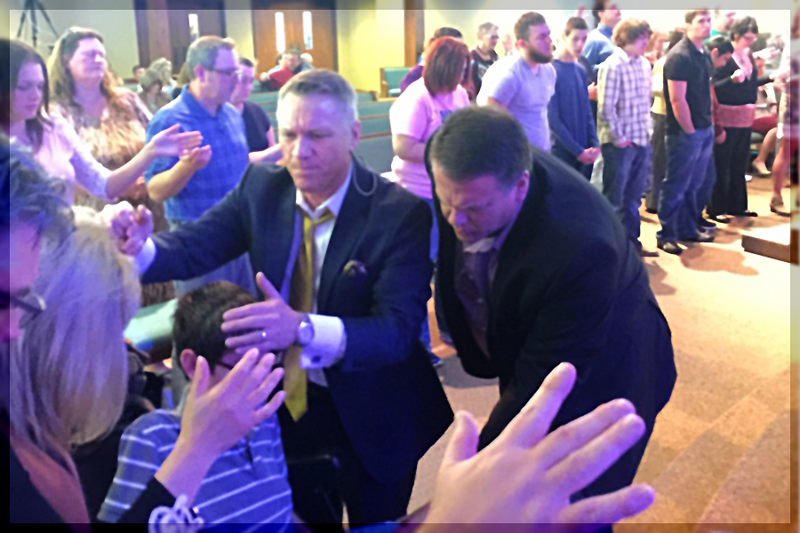 Thank God for what God is accomplishing in our revival services. 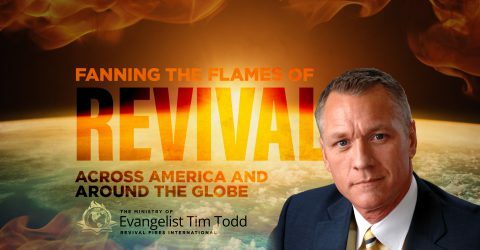 Revival is not just an emotional touch; it’s a complete takeover! We are witnessing God take over the lives of those in our services who are allowing Jesus to become the Lord of their life on the throne of their heart. 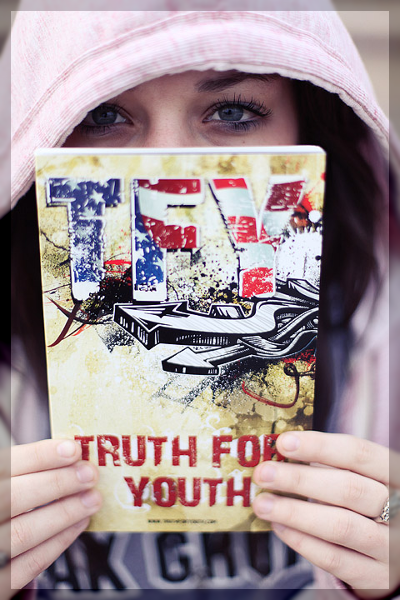 Order the TRUTH FOR YOUTH New Testament and help us reach a generation of America’s teenagers with the Gospel of Jesus Christ! Only $3 each or at OUR COST for only $2 each when you order a case or more. To place an order click here.